Rhys Priestland adds the points for Bath. Bath make a substitution with Lucas Noguera Paz coming off. Wasps sub Michele Campagnaro comes onto the field. Gaby Lovobalavu departs for Wasps. Billy Searle will not be happy with that penalty goal attempt, as the he had the direction but not the power. Nizaam Carr comes on for Wasps. Thomas Young leaves the field. Fabulous play by Bath has led to Francois Louw being able to wriggle through a gap. Jack Walker has made 10 good tackles so far this game. Wasps make a substitution with Gaby Lovobalavu coming on. Wasps make a substitution with Michele Campagnaro coming off. Jacques Van Rooyen departs for Bath. Francois Louw comes on for Bath. Josh Bayliss leaves the field. Rob Miller does the business as his penalty goal attempt goes over. Lima Sopoaga (Wasps) is shown a yellow card. Trouble here as Taulupe Faletau breaches the defence. Bath decide to make a substitution, with Dave Attwood being replaced. Max Clark has made 10 good tackles so far this game. Wasps sub Jake Cooper-Woolley comes onto the field. Will Stuart departs for Wasps. Ben Harris comes on for Wasps. There wasn't enough power on that penalty goal attempt by Lima Sopoaga as it drops short of the posts. That's a great try assist by Max Wright. A series of passes by Bath results in a try for Zach Mercer. Wasps are only a few metres out, surely they must score! And they do with Nathan Hughes touching down. Taulupe Faletau sets up the try. Great hands by Bath leads to a try for Max Green. A gap opened in the defence and Taulupe Faletau took full advantage. The defensive line has been broken as Juan De Jongh goes through the gap. 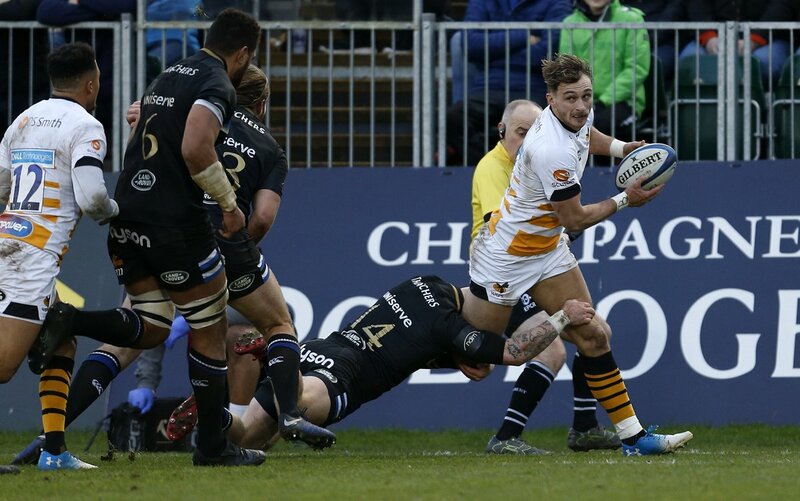 Wasps had plenty of chances to win this one but couldn't make the most of their possession and territory. Interesting decision...can Wasps punish them? 74' Darren Atkins breaks for the line and is in acres of space! 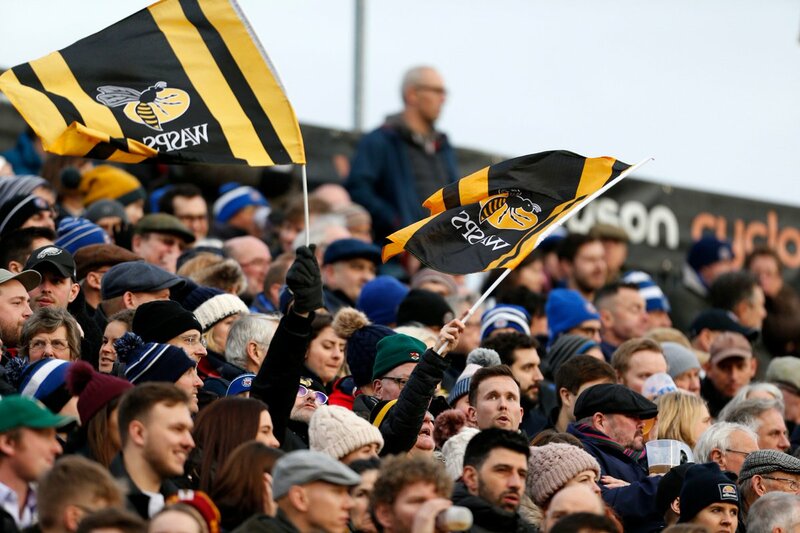 71' Wasps get ball and look to kick in behind but a fantastic recovery from Bath sees them with men in space and galloping downfield! 67' @d_jrobson clears well past the 10-metre but Bath go quickly before knocking on in midfield. 63' YES @JC_Woolley!!!! He helps the pack to win an important penalty 40 metres out in front of the posts. 63' Scrum Bath by their 10-metre as Will Rowlands now receives treatment. 57' But a knock-on sees Bath with scrum on the 10-metre. 55' Bath knock-on now sees us with a scrum on halfway. 54' Wasps kick up to halfway for a Bath throw. 53' Bath knock it on 5 metres out so we'll have the scrum. Ta.